Most of the people have bulky wallets for payment. Today everybody is not interested to carry this type of wallets in his pocket. The easiest way required to pay the amount for shopping and business is an electronic wallet. The world is moving to adopt new tools to go with the online transaction. It is easy and safe for common people. Several countries adapted this new online payment system. Another part is that online transaction help to improve the economic condition of the country. The number of people comes under the supervision of the Income Tax Department. All online transaction leave a trail to track all payment details. This process saves the country from black money and money laundering activity both. The number of tools is available in the market like the debit card, banking card etc. But you will be always afraid of hacking and duplicity. Except this, you will be carried your plastic money card all time. For the safest transaction, tools required to use without given any knowledge of your Pin number and other details of your card to payment receiving counter. Mobile Wallet Apps are the best way for payment. You have to transfer an amount in your wallet and pay by your Smartphone with one click. You have not to share any details of your security code. 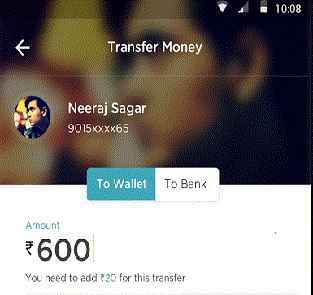 This transaction is possible if you have downloaded Mobile Wallet Apps in your Smartphone. These are the Best Mobile Wallet Apps For Online Payment. 1. Paytm - This is online payment tools. 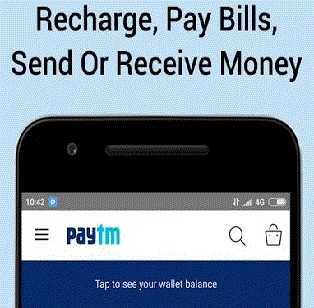 Paytmkaro is the fastest online payments and recharge tool. You can recharge your DTH, pay Utility bills, travel, movies, shopping bills instantly. Other features are - you can accept payment from customers or friends. You have to only scan a QR code and verify by OTP secret code and your wallet is ready for the transaction. The number of banking tools may use to add money to your wallet like - bank debit cards, net banking, credit cards, Visa, MasterCard, and Ru-pay card. You can pay your kirana bill, book your movie ticket and shop online after transferring the money in your Paytm wallet. 2. FreeCharge - Free-charge was founded in 2010. 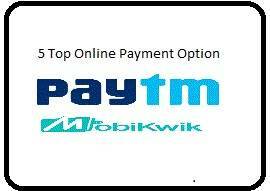 It is also the best online payment platform for Indian people. This company confirmed that they equipped with the latest technology and save your transaction online. You can pay your electricity, DTH and other bills by using this app. 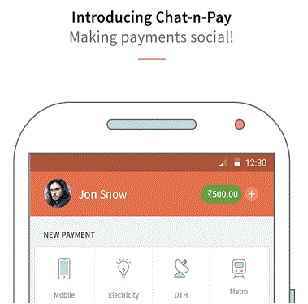 'Chat n Pay' feature unique for the user, you can send money through this features as well as split bills quickly among friends and family. 3. Chiller - This app works with 34 Banks (like - HDFC, Axis, ICICI, SBI etc.) and provide the one-stop solution for all payment of customer. All customer of 34 tagged bank can utilize this app to transfer money online. This app confirmed for safe money transfers, secured and protect transaction by an MPIN, split your bills, secured utility bill payment and recharges, transaction statement provides to the customer on monthly basis to help track and plan finances and expenses. Chiller provides free money transfer services to all customers. However, the bank may levy standard IMPS charges. Its 24X support system is very good and responsive as company assured. 4. MobiKwik - These apps try to help people to do all transaction in cashless. After the announcement of PM Narendra Modi demonetization drive, MobiKwik help to pay your nearby grocery store, milkman, maid, and shopkeeper by tools. The slogan was "Just MobileNumberLoPaiseDo". It was amazing and attractive to motivate people to download this app for daily uses. If you did KYC norms then they increase your wallet limit from Rs. 10K to Rs. 1 Lakh free of cost. 5. 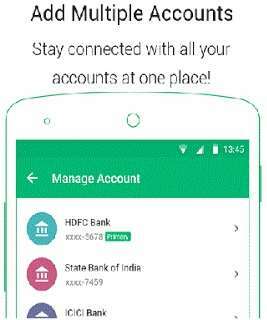 BHIM - After demonetization in India, a unique and easiest apps required to utilize by Indian people for the smooth and hassle-free transaction. The government of India launched BHIM. The number of banks is added for the smooth transaction. 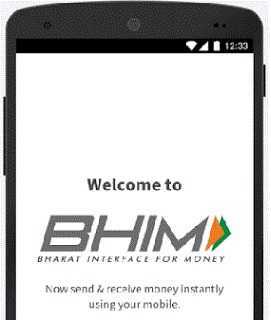 Bharat Interface For Money (BHIM) is the reliable and easiest way for cashless transaction or payments through Smartphone. Basically, BHIM apps developed by NPCI and it is a product made in India. The user will register his bank account with BHIM, now set a UPI PIN for the bank account. Your mobile number will confirm your Payment Address and now you start your transaction. It is very simple and easy for the user. If you want to transfer amount to an unregistered user, just use the Account number and IFSC code for that. The user can check balance and transaction details by the simple process. Transaction limit varies from Rs. 10000/- to 20000/-. This app is the support to National and Regional language both. What Are Important Precautionary Measures For All Wallet Apps? Don't share your OTP password. Check you all transaction from time to time. Transfer money according to your need. Confirm the successful transaction on the big amount. Finally, I would like to say that these 5 best free wallet apps make your cashless transaction and day to day payment expenses smooth and interesting.